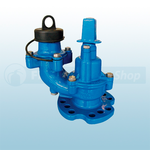 Available from the Fire Protection Shop is the right angle hydrant valve which is ideal to use for both offshore and onshore application. 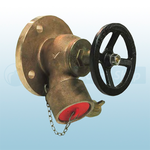 The valve is manufactured to BS 5154 and BS 5041 part 1. Also available is the Underground Hydrant Multi Flange PN16-Tbl.D/E, 2.5" BSRT which features multiple flanges for easy connection to PN16 & table D/E pipe flanges.